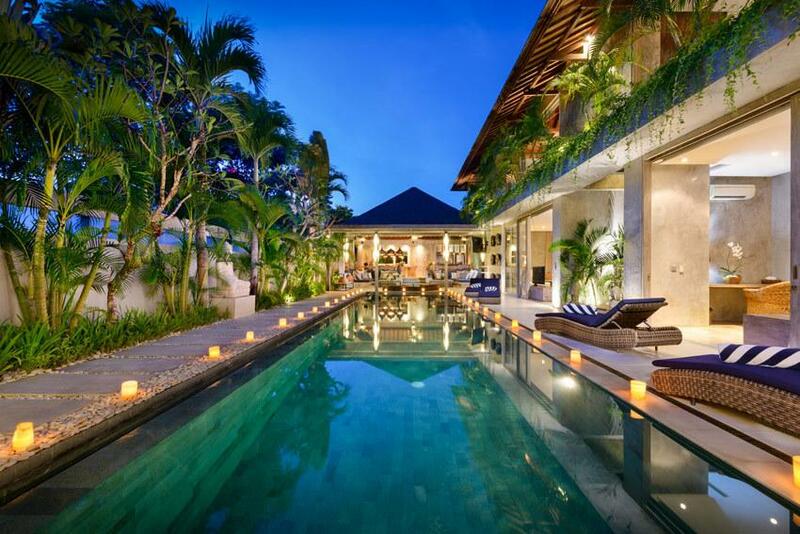 Distinctly different this luxury private Villa is finished throughout in marble and quality fittings. 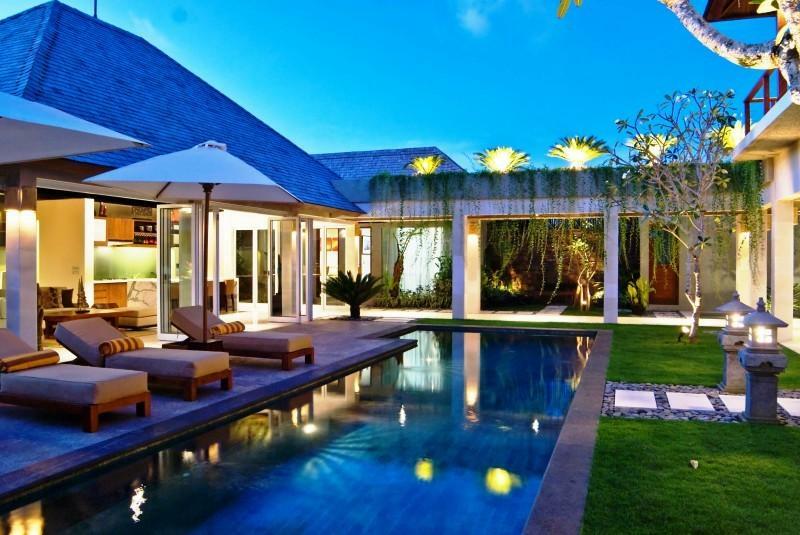 Villa 3380 is a separate 930 M2 stand alone villa that provides true luxury, security and peace of mind rarely seen in Bali. 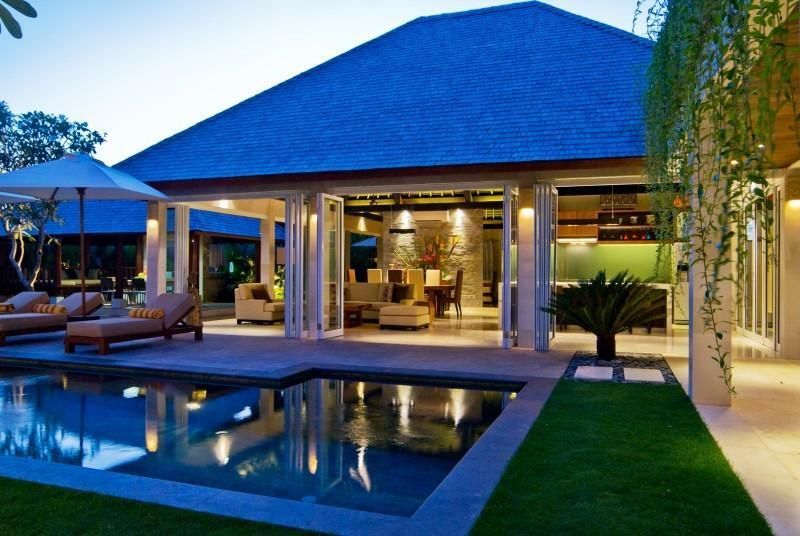 The villa have been designed by internationally renowned Fredo Taffin (architect of Ku de Ta), and are characterized by a spacious open-plan layout in a contemporary tropical style. 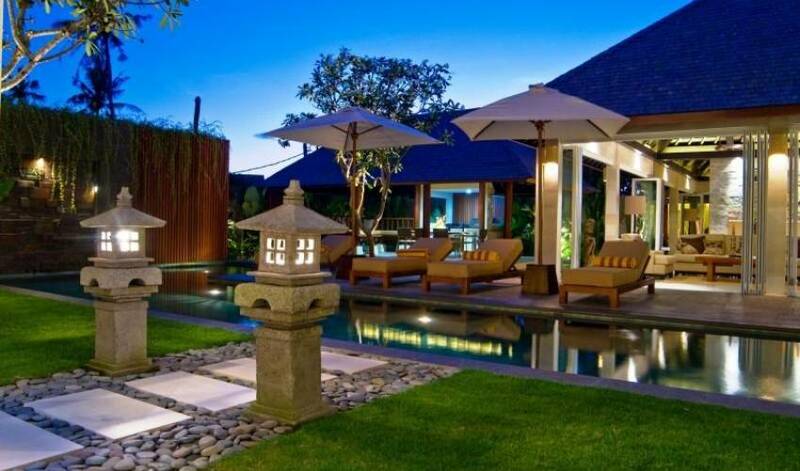 This impressive and glamorous villa is set in 930 square meters of lush tropical gardens, boasting a 15meter swimming pool, large Jacuzzi complete with a table for your snacks and refreshing drinks, an alfresco dining/daybed pavilion plus big flat screen TV and complimented by an imported Australian gas barbeque. A large pool deck complete with sumptuous cushioned pool lounges and umbrellas further adds to the holiday atmosphere that you experience surrounded by tropical gardens, pools, running water features, koi fish lily pond and the many native birds that also make Villa 3380 their home. The concept of luxury is meaningless outside the context of quality-the two go hand in hand. 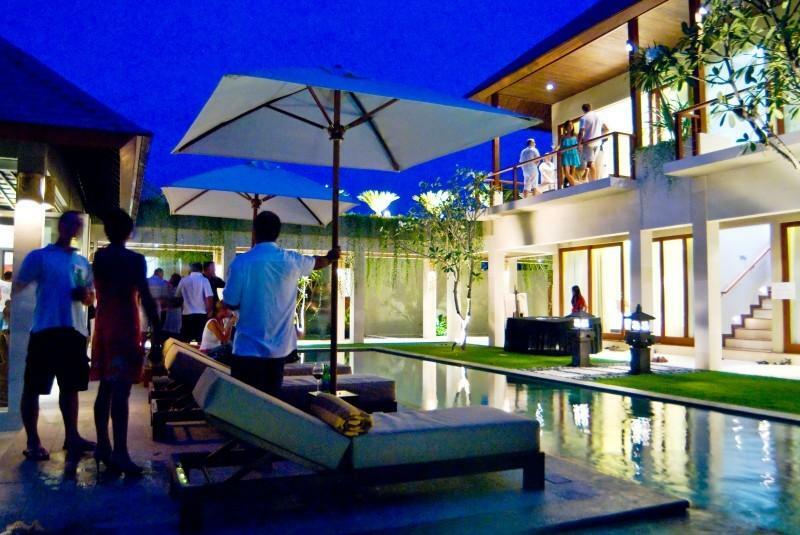 We're committed to creating a level of quality that stands apart from the rest of the market because our goal in building Batubelig Residences is to provide the benchmark of luxury living in North Seminyak. The truest test of a "luxury" residence is how comfortable you feel living there. Day in, and day out. 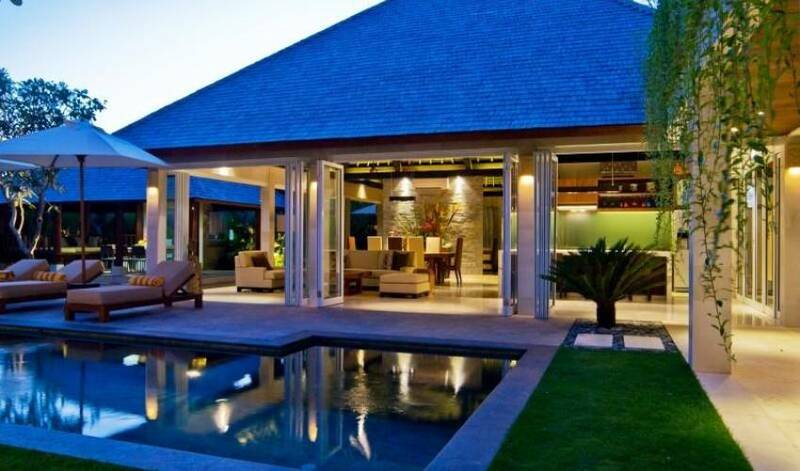 After all, what good is the most expensive home in the world if you don't thoroughly enjoy being there? 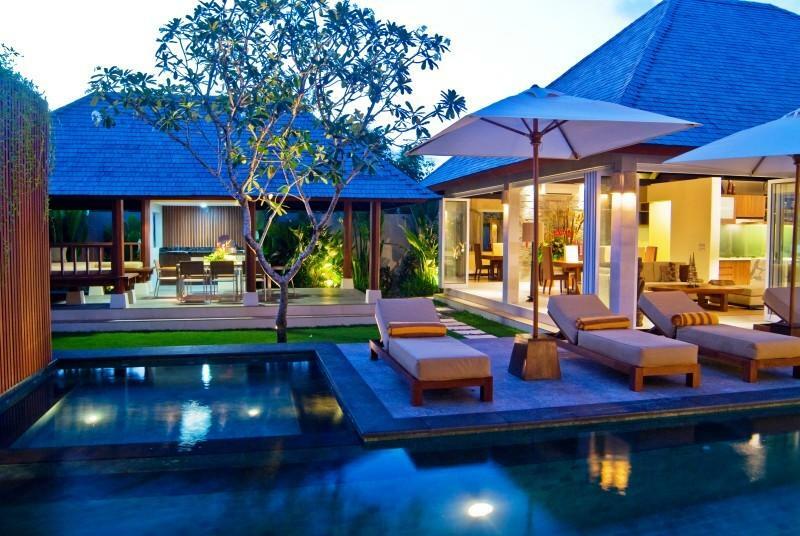 Numerous factors contribute to the sense of peace and relaxation you feel at Batubelig Residences. Each residence enjoys a spacious layout, with each living area providing views of the central court yard and pool. The rooms have an open design and are oriented to invite the cooling breezes in-being both sheltered from, and yet at the same time, a part of the various weather patterns of Bali. From early morning, to the late afternoon and early evenings, natural lighting filters gently into every area. In the evenings, controls for both interior and exterior fixtures allow for lighting levels to be set to perfectly match moods and activities. The tactile sensations also contribute to your comfort. The cool smoothness of the marble counter tops and living room flooring. The ease of opening and shutting doors and windows. The beauty and perfect functionality of 5-star hotel plumbing fixtures in the bathrooms and kitchen. And then a final element...the sense of quiet. You're actually living within the traditional Balinese village of Batubelig, away from the traffic and bustle of the tourist, so very few sounds disrupt your sense of peaceful serenity. The luxurious livability and comfort of Villa 3380 is so pervasive, you'll have a hard time ever leaving. 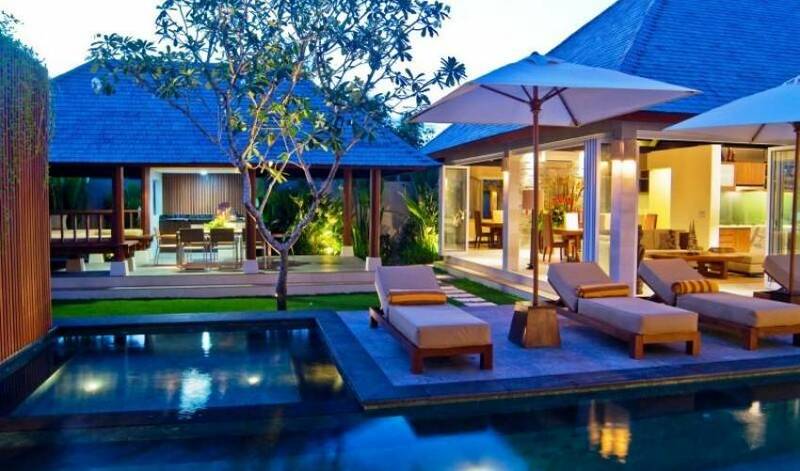 Villa 3380's five bedrooms are located in a separate two-storey pavilion overlooking the pool, Jacuzzi and beautifully presented tropical gardens. The pavilion consists of two ground floor master suites each with indoor/outdoor ensuite bathrooms complete with stylish solid marble bath, two showers and elegant finishes throughout. The two king size upstairs bedrooms open onto a large balcony with views to the ocean and inviting gentle sea breezes. These beautifully appointed bedrooms are also complimented by spacious stylishly finished ensuite bathrooms. Mood lighting and large flat screen TV's in every bedroom ensure a peaceful, restful holiday. A conversion of the multi purpose room at Villa 3380 into a permanent 5th Bedroom with Queen sized bed and all the other facilities as per the other bedrooms at Villa 3380 including a large ensuite bathroom. There are two kitchens fully equipped with state of the art appliances, the working kitchen for staff to prepare your meals and a show kitchen for you, if you wish or the staff to do more basic tasks. 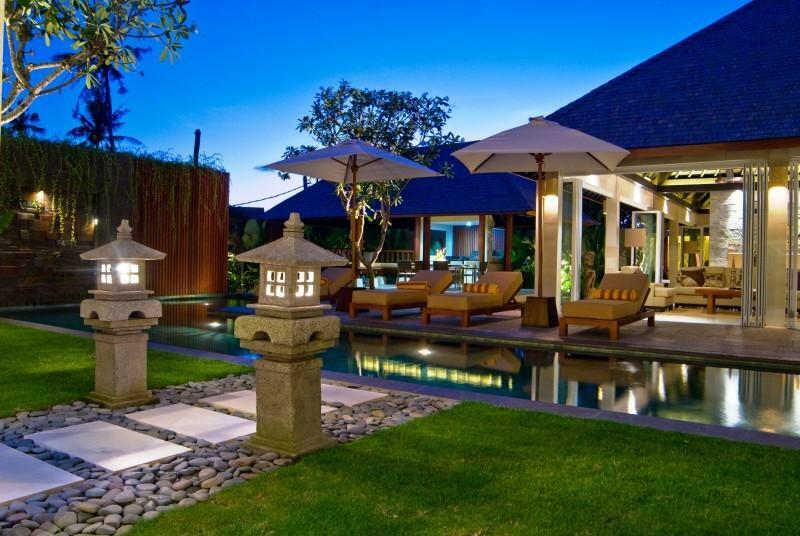 The main living area is a large 10M x 10M spacious and open plan pavilion in the traditional Balinese style with beautifully crafted raked timber ceiling but you also have the option of closing the modern bi fold doors and fully air-conditioning the whole pavilion if the weather requires. The informal lounge and coffee table area overlooks the pool and sun bed deck enabling you the choice of retreating from the sun to socialize or simply read a book. The large 8 to 10 seater natural one piece dining suite is adjacent to the lounges in the living pavilion and also overlooks the pool, gardens and Alfresco/BBQ pavilion. The Alfresco/BBQ pavilion is equipped with an outdoor dining setting which also seats 8, a massive daybed where you can have a nap or watch the 42inch plasma TV and a 4 burner Australian imported stainless steel BBQ. Wireless internet is available throughout the Villa and there is an office available on site should you need to send and receive faxes, do photo copies or scan. 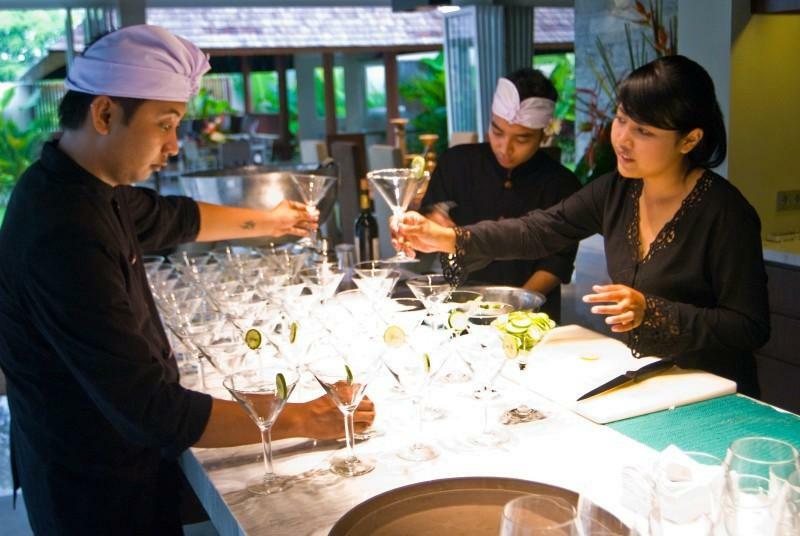 Villa 3380 is fully staffed to ensure you have a fantastic care free holiday. 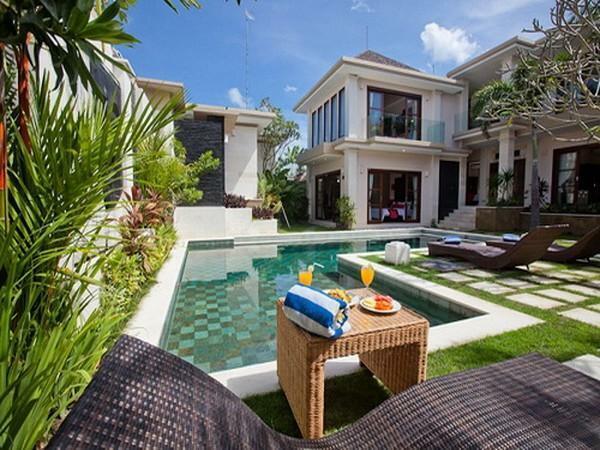 Located a short 250 meters from Batubelig beach, Villa 3380 is ideally positioned to start your morning exercise walks along the beach or afternoon stroll to watch the famous Bali sunsets. 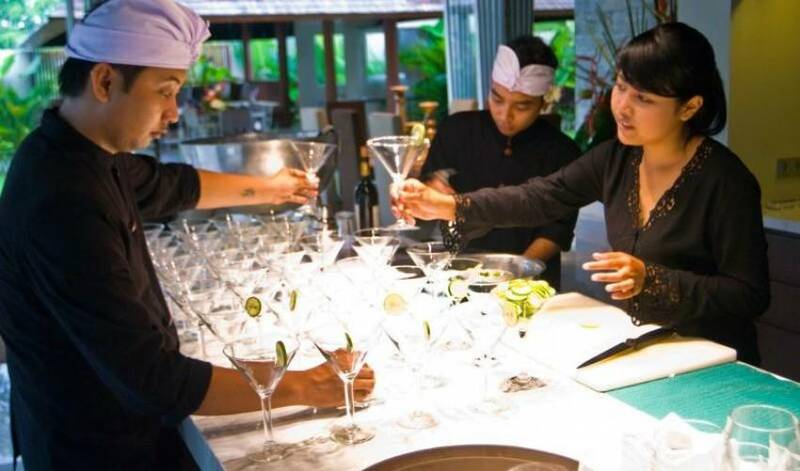 When you want to join the action of the trendy Seminyak shopping, restaurant and bar precinct, a short 5 minutes' drive is all it will take to get you to the long time Bali favorite La Luciola restaurant, world renown lounge bar Ku de Ta, Ultimo Italian International bar or restaurant and other iconic Bali day and night hotspots. 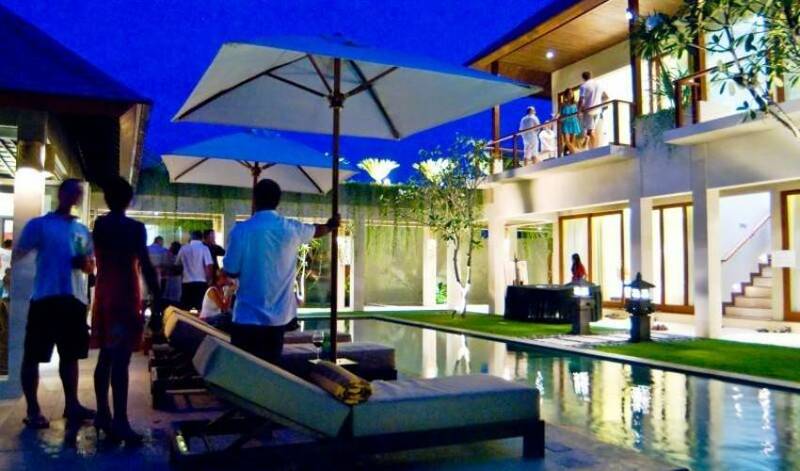 Other more recent additions to the Bali social scene, Sardine's, Metis and Nuri's Restaurants are located in the same street as Villa 3380, so as you can see you can maintain your peaceful privacy and yet are within easy reach of first class eating and entertainment experiences.